If you’re picking out custom rims for your car, be sure to consider several important factors before you make your decision. Personal preference and the final look of your vehicle is an important consideration as custom rims give you an opportunity to style your car the way you want. However, since your wheels are about more than aesthetic appeal, you also have to consider the advantages and disadvantages of various finishes before you make a decision. Black and chrome rims are both popular custom wheel finishes. While each of them give your car a high-end look, they also provide very different benefits for your vehicle in the long run. In this article, we’re going to take a look at the pros and cons of black and chrome rims and give you insight into how Wheel Creations PVD can give you the custom finish that’s right for you. 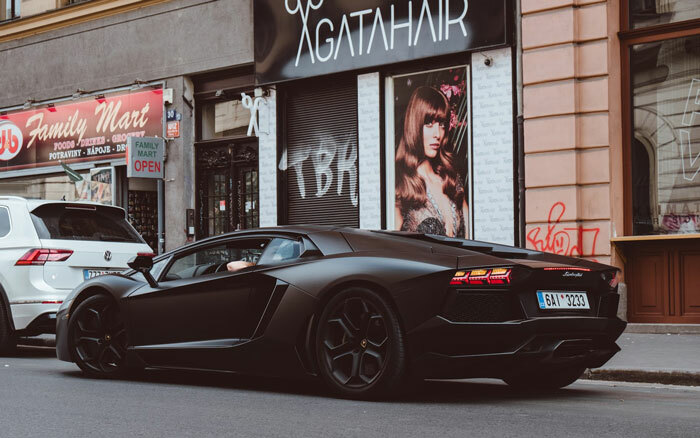 Black rims have become quite popular as a custom finish. The monochromatic look they create lends an aura of unconventional style to your car, making it stand out from other models. Black rims are available in a variety of finishes, including matte, gloss, satin, and the less-well-known Teflon. Different styles can change the look of your vehicle, but all the rims have their basic black color in common. Black rims are a tricky buy, mostly because keeping them in mint condition is difficult. The color is completely unforgiving, so dirt, brake dust, and scratches are all painfully apparent on your vehicle. If you want your car to maintain its upscale look, these wheels have to be cleaned and detailed on a fairly regular basis. Otherwise, your custom rims won’t last very long, making their high price tag a waste of money. Chrome is the classic option when it comes to custom rims. It looks good on every vehicle, and the shiny surface automatically upgrades the car’s appearance. Chrome is a popular finish for car-lovers everywhere, primarily due to its durability and luxury look. If you want your car to have a traditional, high-class look, chrome is the obvious choice. The problem is, despite their durability, chrome wheels aren’t designed for harsh weather conditions. Various substances on the road—including salt and other chemicals used in snowy regions—can damage the chrome finish, eventually forcing you replace the wheels all-together. What’s more, chrome does not protect against brake dust, which can damage the look and function of your vehicle if not washed at least once a week. So, if you want custom rims that are worth the price tag, what are you to do? Both black and chrome rims are unable to withstand the normal wear and tear that comes with owning a vehicle. 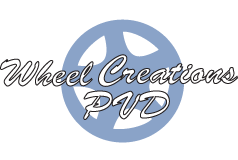 At Wheel Creations PVD, however, we have the solution. Short for Physical Vapor Deposition, PVD is a highly durable chrome finishing process that’s designed to last much longer than a traditional chrome finish. Instead of eroding to the point of destruction like black and chrome rims, PVD can handle the everyday hazards that accompany driving. And get this—we not only offer a bright and shiny classic chrome, we can also customize your car with our long-lasting PVD black chrome. If you want custom rims that provide maximum durability and the aesthetic appeal you’ve been looking for, browse our collection of PVD chrome finishes today.